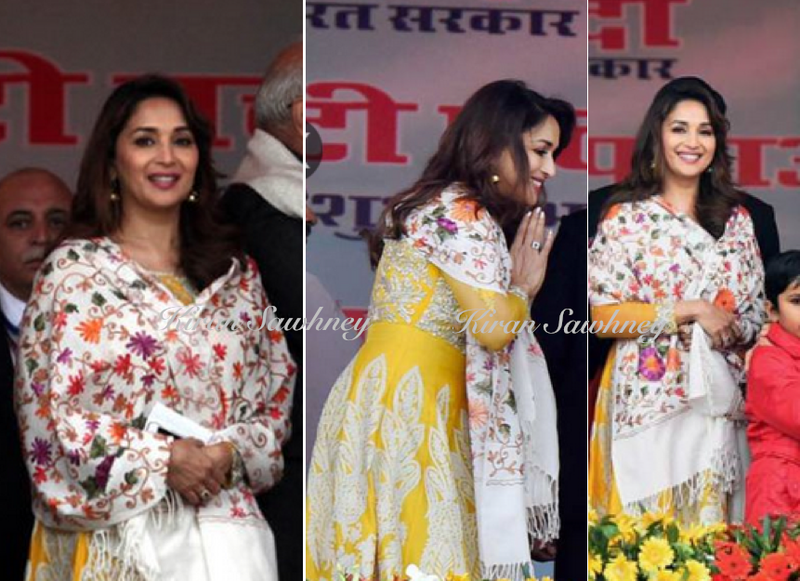 Today Madhuri Dixit was at a campaign with the PM. 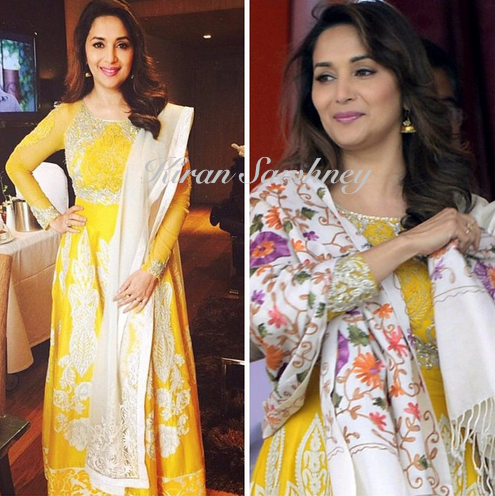 She wore a yellow anarkali full sleeve suit by Varul Bahl, which had a white embroidery. She teamed it with a white kashmiri embroidered shawl. It had multicolored aari work on it. When our team was rating it, we thought that embroidered suit with embroidered shawl does not go well together. But our boss is a sucker for Kashmiri embroidered shawls. According to her, it works with everything and it looks great. Boss is always right.